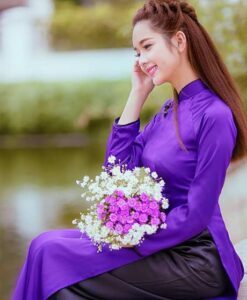 Blue Violet is the mixed color, it hard to consider that color is purple or blue. 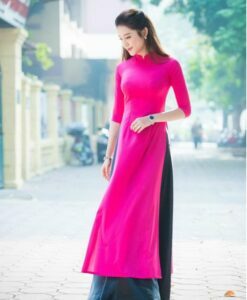 So it makes quite complicated for the tailor when selecting the fabric. 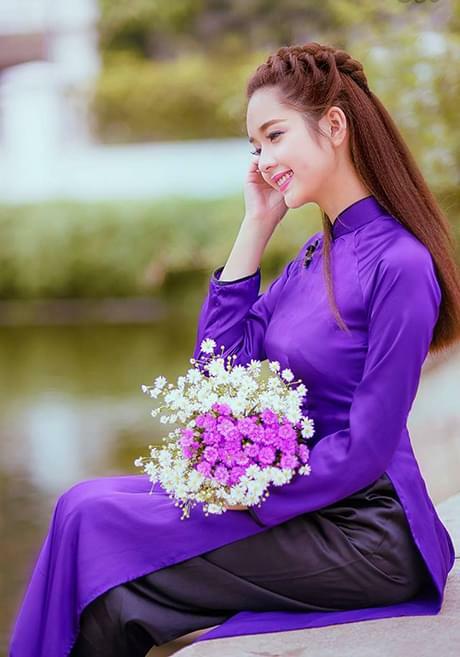 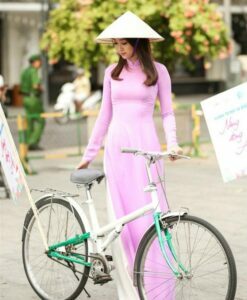 The Ao Dai Vietnamese for Sales in Blue Violet Silk, The Pant in Black Satin, V Neck, Long Sleeves.